I’m sad because it feels like Summer is flying by. Summer’s here, in Central Texas, last from December to October, though; so I should be Summer’d out by now. When I think of Summer ending it makes me think of back-to-school, which makes me think of work. That makes me sad. 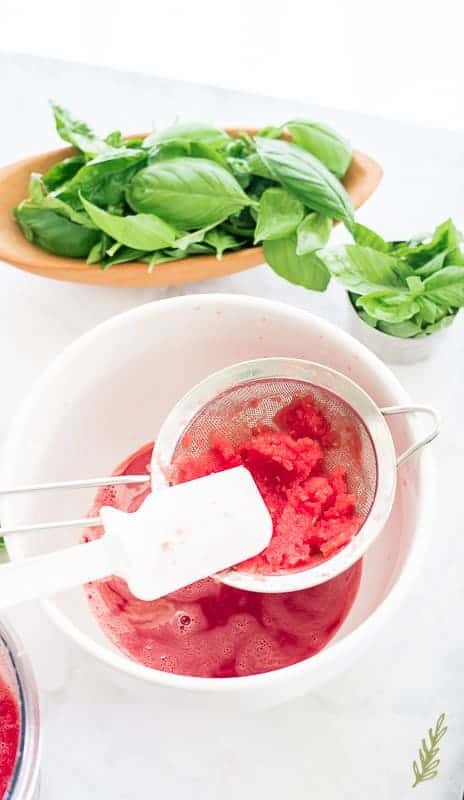 So, Watermelon-Basil Sorbet to the rescue! This is a scoop of summer, fo’ sho’. The fact that I can store it in the freezer and bust it out in the middle of Autumn- bonus! I’m using up the last of my mutant basil plants for this watermelon treat. A small, personal-size watermelon is the perfect victim for this recipe. Smaller watermelons tend to have little to no seeds, so that’s what I recommend you using. Picking out seeds, one by one, won’t do anything but contribute to Summer-ending sadness. There’s also some booze in this sorbet. I chose Chambord- a raspberry liqueur…and vodka…because it makes it smooth (and makes me think I’m smooth, as well). While both the Twinks ate this sorbet and suffered no ill effects, you can omit the alcohol if you’d like. You’ll just have to pull your sorbet out fifteen minutes prior to scooping to allow it to soften. Liquor is added to most, if not all, sorbets because it prevents the liquid from freezing rock hard. Again, it’s not a must, but it does work in your favor, ultimately. 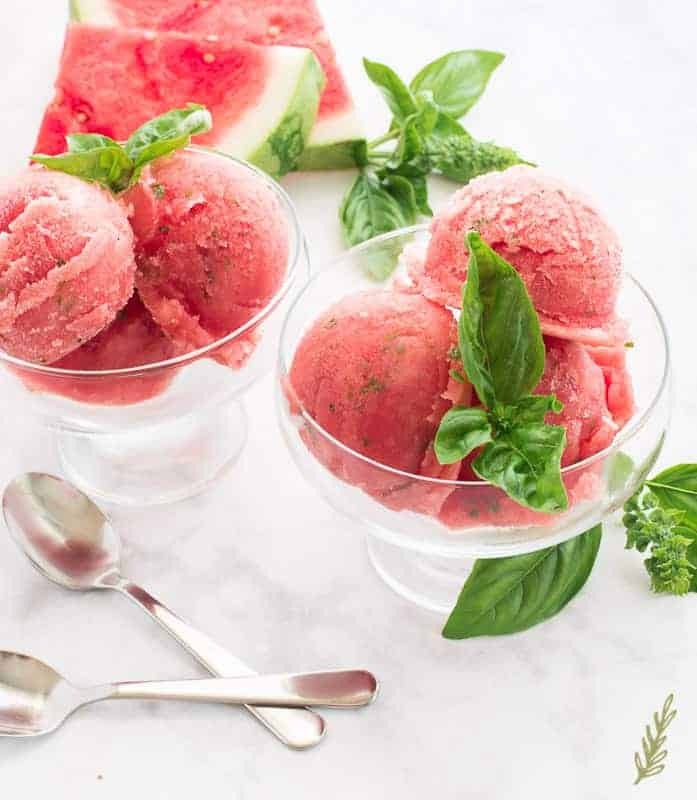 To make this sorbet, you need a ripe, sweet watermelon. I choose watermelons that feel heavy for their size. But what does that mean? If a watermelon’s weight surprises you when you pick it up, it’s heavy for it’s size. This little guy (or gal…I think she’s a she) looked so innocent and small. I went to pick it up and was all, “Whoa! You’re a beast!” For me that means it’s ripe and ready to go. I also look for a bigger yellow spot on the skin. According to some video on Facebook, that means it’s had a chance to ripen on the ground, or something. You know everything you read on Facebook is true, don’t you? This time, it actually seems to be. Use a fairly large cutting board to work on. You’ll need space for that melon. 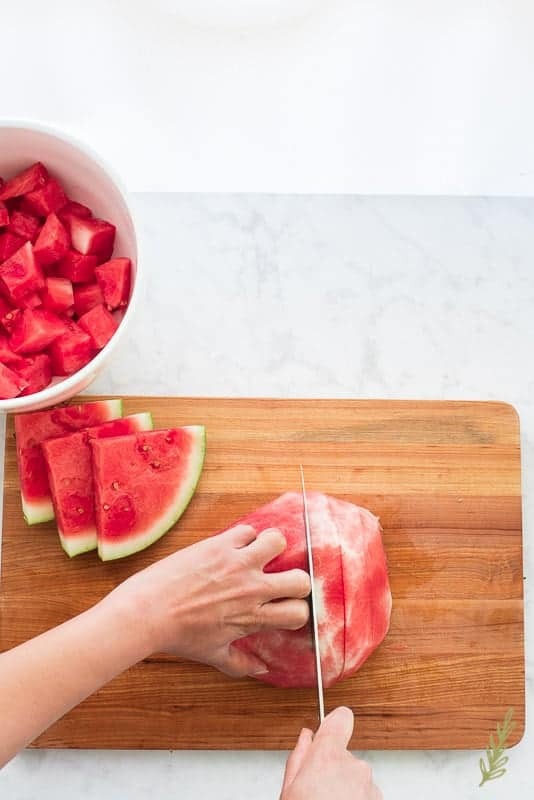 Grab a sharp chef’s knife and cut the watermelon in half. Turn the half onto its flat side and, beginning at the crown, cut away the rind. 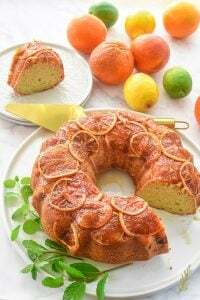 Try to remove the bland white part along with the thick rind. Once you’ve cut away the rind from the entire half, cut the half into one inch-thick slices. Turn the slices onto their sides and cut them into one inch cubes. 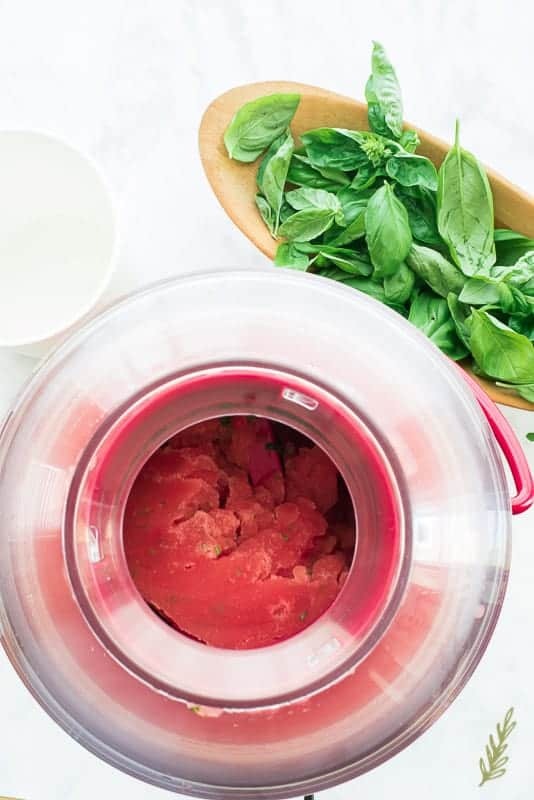 Once you’ve cubed the entire watermelon, puree the pieces in your food processor. 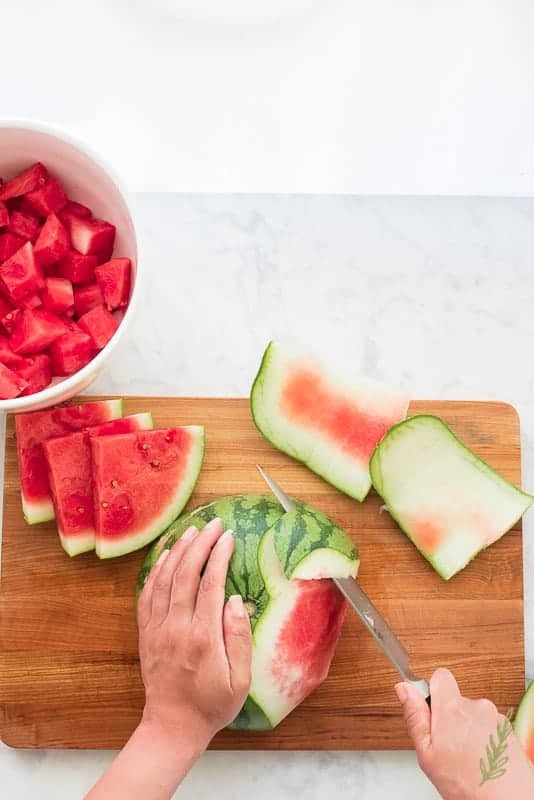 Make sure there are no large chunks of melon remaining, you want to extract as much of the watermelon juice as possible. Place a fine mesh sieve over a mixing bowl. Transfer the pureed watermelon to the sieve to strain off the juice. Discard the pulp. Typically, a sorbet is sweetened with a simple syrup made up of equal parts sugar and water. Well, watermelon is, like, what, eighty-five percent water? So, I’m going to kill two birds with one flavor-packed stone and use watermelon juice to create my simple syrup. Hold the applause. 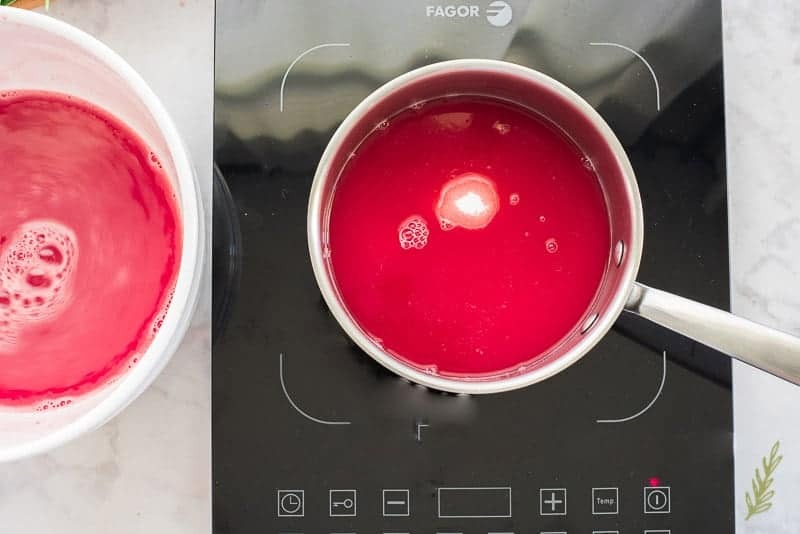 In a small saucepan stir together three-quarters of a cup of the watermelon juice and the same amount of sugar. Bring this to a boil over medium-high heat. Give it another stir. 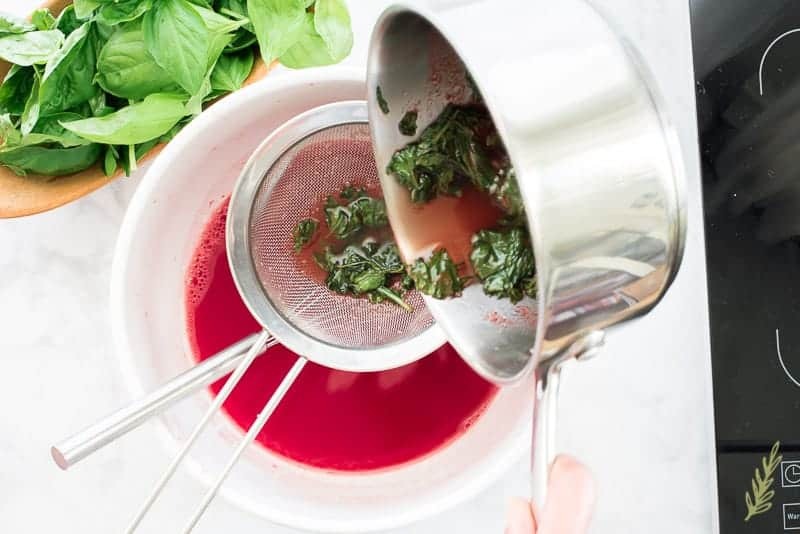 Add whole basil leaves to the simple syrup and allow this to steep for fifteen minutes. The longer you allow this to sit the deeper the basil flavor. I’m using common Genovese basil here. 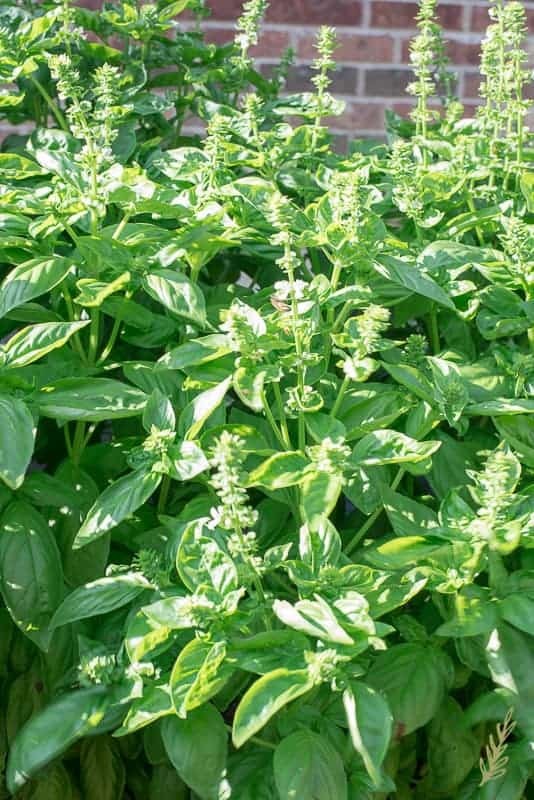 A great alternative would be Opal Basil. Don’t use dried basil. It won’t give you the color, or the flavor, you’re wanting in this. 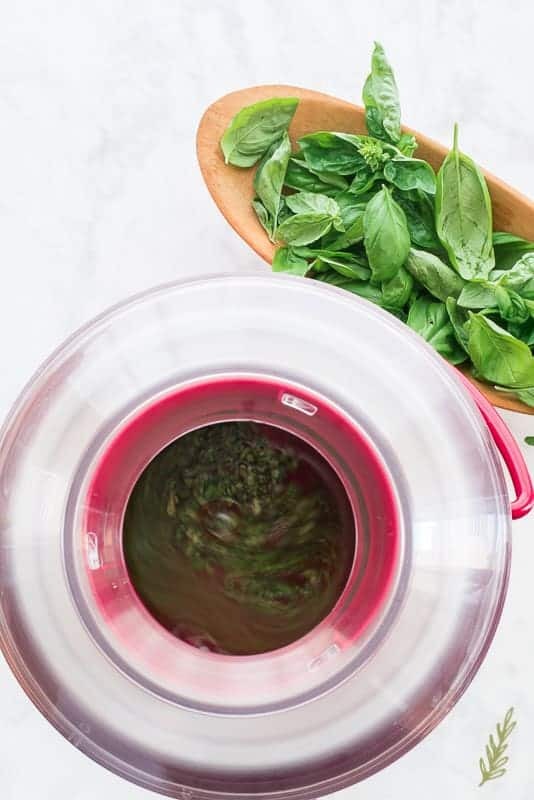 Once the basil has steeped long enough, strain the simple syrup into the bowl that has the rest of the watermelon juice. Whisk this together to combine the two. Add a tablespoon of Chambord to your sorbet base. 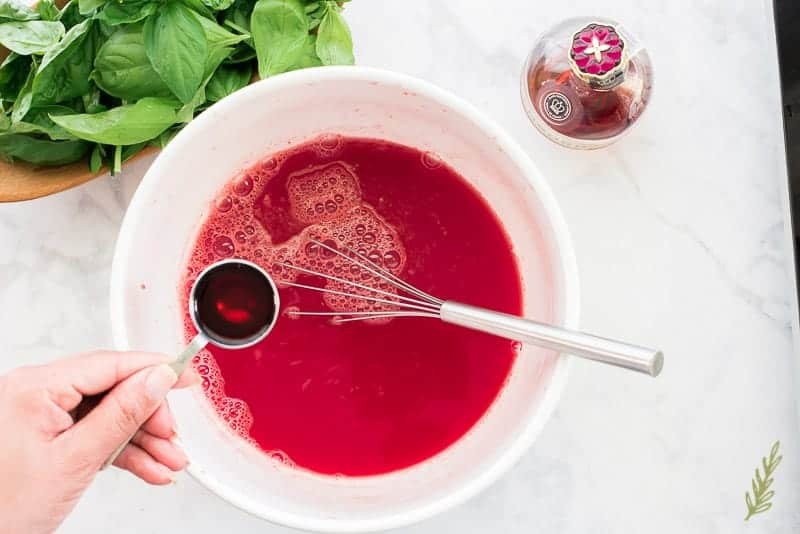 You can substitute any other liqueur that has a similar flavor; like kirschwasser, watermelon pucker, or crème de fraise. I chose Chambord because it was on my bar and it’s red. Quite discerning, am I not? Follow the Chambord with vodka. You may also use two tablespoons of vodka and omit the liqueur. While it may be a little potent, the watermelon-basil will be the prominent flavor. Finally, add the lime juice and whisk this brew together. Allow the sorbet base to chill in the fridge for four to twenty-four hours. Prior to churning, stir in the minced basil. This post on how to properly Chiffonade Basil should come in handy for that. Churn the sorbet in your ice cream machine for fifteen to twenty minutes, or according to the manufacturer’s recommendation for sorbet. You don’t want the sorbet to be too thick. It should look somewhat like a slurpee since it will become harder once it freezes. 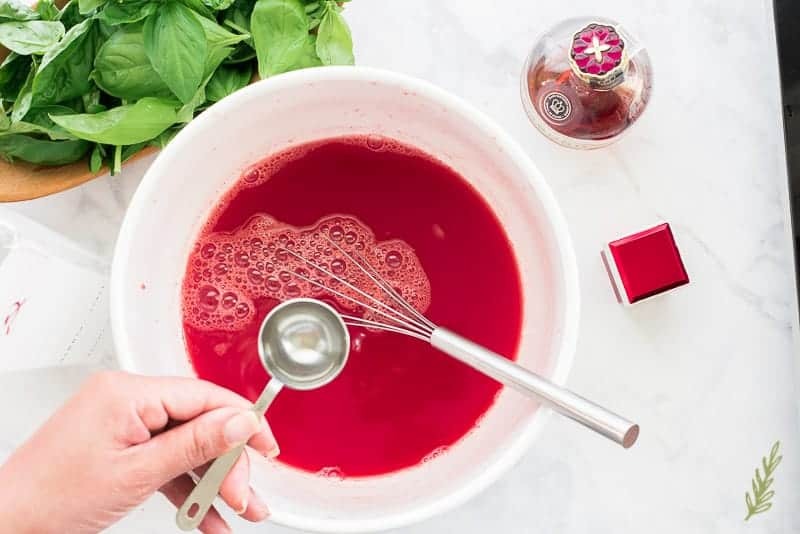 Once the sorbet is the proper consistency, transfer it to an ice cream container and allow it to firm up for two to three hours before scooping. After your sorbet has set up in the freezer, bust that bad boy out and dole out a few scoops for you and the fam. I like pulling my sorbet out of the freezer about five minutes before I want to scoop. Gathering the dishes, spoons, and an ice cream scoop takes about that long. This sorbet will keep in the freezer for up to two months. The longer it’s frozen, however, the more it will begin to crumble when you try to scoop it. But, if it comes to that, this sorbet can always be blended with more liquor to produce a delicious frozen cocktail that’s perfect to bid Summer adieu with. Pin this cool treat for later, then tell me: what was your favorite Summer of ’18 memory? 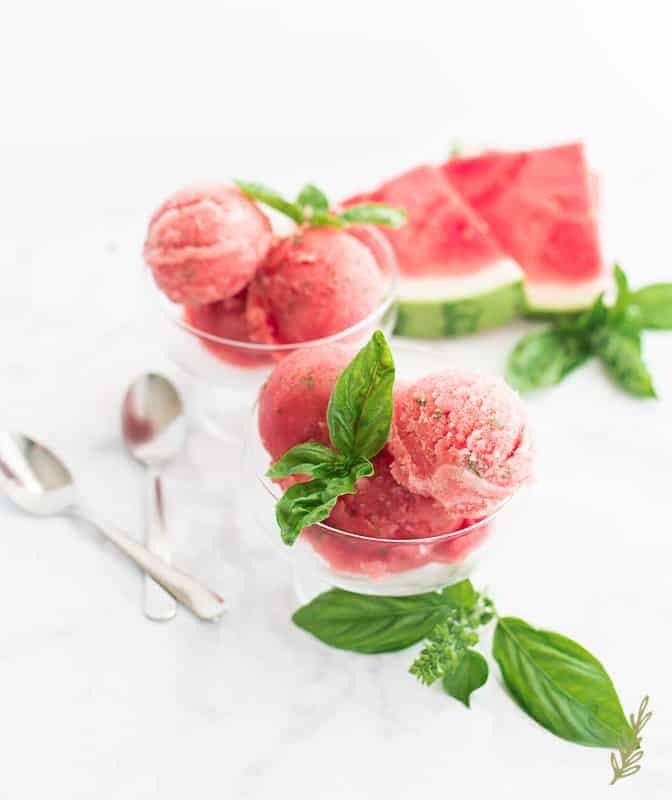 Use fresh basil and sweet, ripe watermelon for this frozen confection. 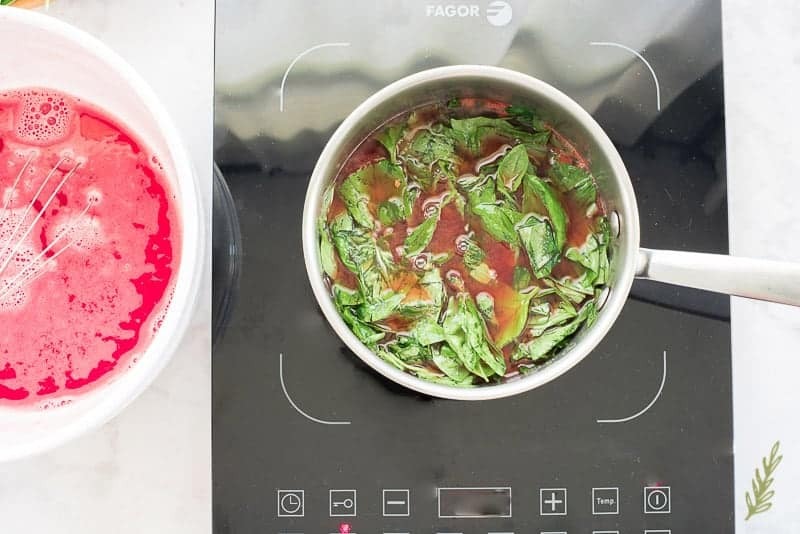 In a small saucepan stir together the 3/4 cup of watermelon juice and the sugar. Bring this to a boil over medium-high heat. 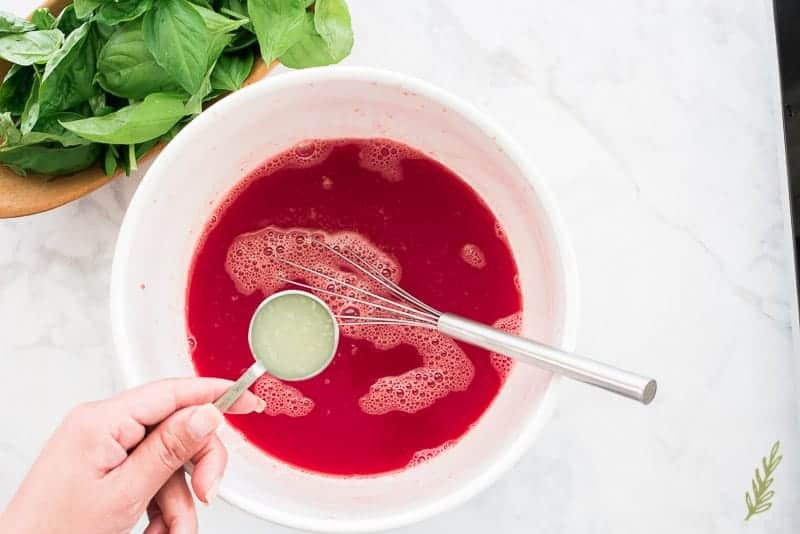 Once the basil has steeped, strain the simple syrup into the bowl containing the rest of the watermelon juice, and whisk to incorporate. Add the lime juice, Chambord (if using), vodka, and salt to your sorbet base. Whisk this together. Allow this base to chill in the fridge for 4-24 hours. In your ice cream machine, churn the sorbet for 15-20 minutes, or according to the manufacturer's recommendation for sorbet. It should look somewhat like a slurpee when it's done churning. It will harden more as it freezes. 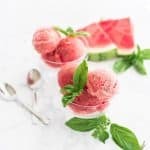 Once the sorbet is the proper consistency, transfer it into an ice cream container and allow it to firm up for 2-3 hours before serving and enjoying. You can omit the alcohol in this recipe if you want to. The end result will be harder to scoop, but allowing it to sit out on the counter for 15 minutes prior to scooping will make things easier. You can substitute any other liqueur for the Chambord. Some options are: kirschwasser, watermelon pucker, or crème de fraise. You can omit the Chambord and use 2 tbsps of vodka instead. This sorbet will keep in the freezer for up to two months. Though, the longer it's frozen, the more it will begin to crumble when you try to scoop it. However! If it comes to that, this sorbet can always be blended with more liquor to produce a delicious frozen cocktail. Waermelon is one of my favorite fruits, so I’m sure I would love this. I live in Charleston so Summers are pretty extreme here too. This would be great on these hot days. For sure! We wait until about 7pm and sit out on the porch with a bowl of this sorbet. It makes for a great night. 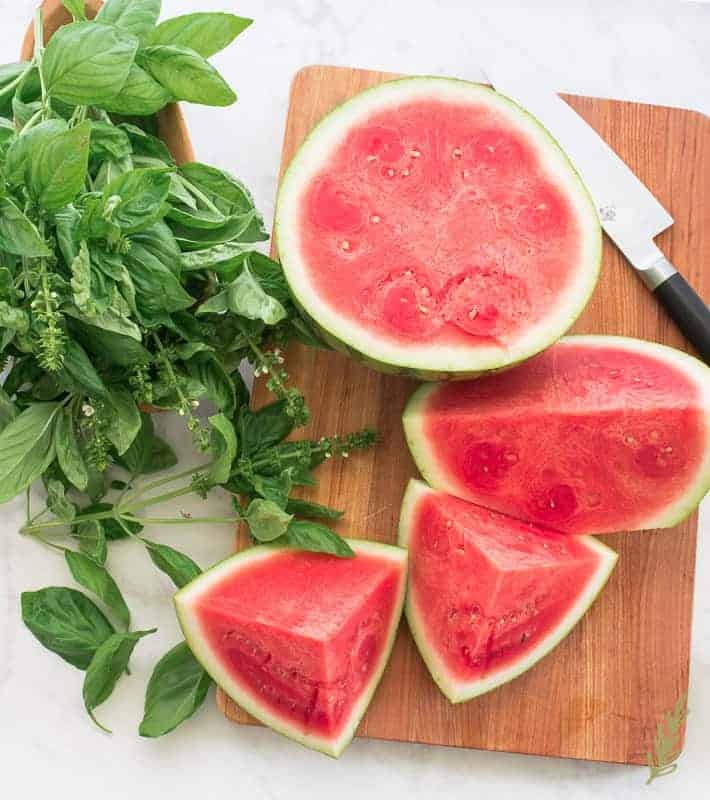 I had watermelon basil lemonade the other day and now I’m needing to make this recipe! So tasty! OOOOh!! 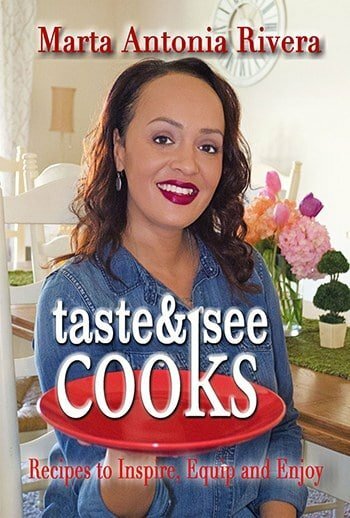 I know that must’ve been delicious, Tara! Your pictures are so fantastic and the finished product is just lovely! Bookmarked to make later. Awesome, Jazz! I hope you love it as much as we do! Your basil plant looks gorgeous! This sounds like such a refreshing treat. It’s amazing, Maegan! Thanks a lot! 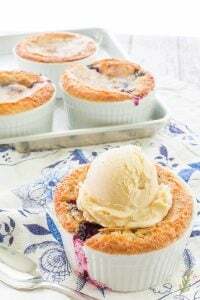 Oh this is seriously the ultimate summer dessert! Yum!! 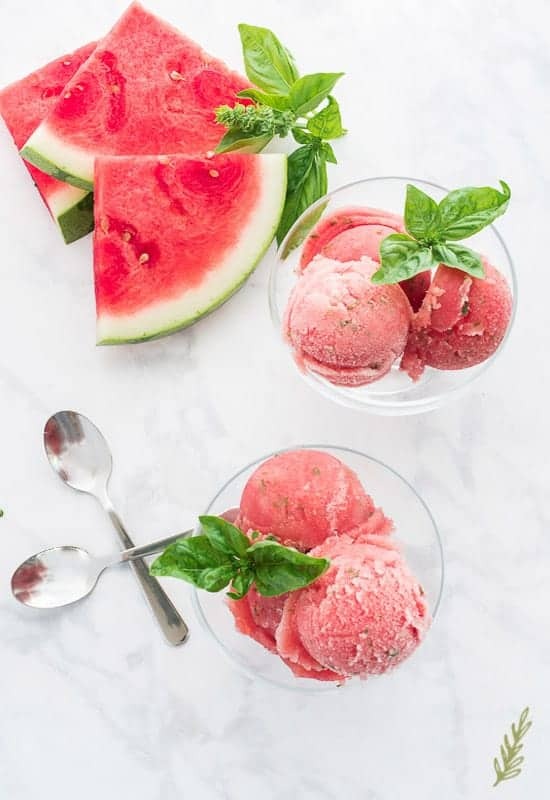 I love this watermelon sorbet! The addition of fresh basil makes it great for summer. Thanks so much, Sharon. That means a lot to me. Oh wow it looks so nice and refreshing, perfect for summer! Yes, if you like sorbets or gelato, this gives you the taste without that watermelon texture, Mimi. You should totally do it, Theresa! You really don’t taste the slightest bit of alcohol so the watermelon flavor is very pure. If you do decide to leave out the alcohol, just allow it to sit out at room temp for 5-10 minutes so you can scoop it easier. I never knew how to make sorbet until I read this! This looks so delicious and pretty too! Great photos. Thanks so much! 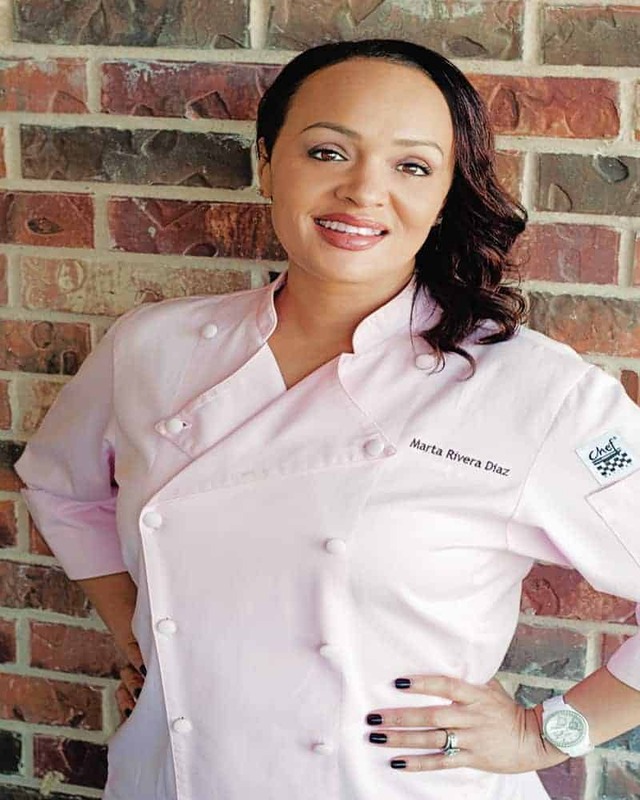 I have a few sorbet recipes, Raina. I think you’ll enjoy them!